The first-grade pupil Nguyen The Thien, 6, of the N.T. H Primary School in Ho Chi Minh City can solve mathematical problems designed for 7, 8 and 9th graders. Nguyen The Thien receives a prize of Kumon school for the best student. The “child prodigy” always gets 10 marks for math problems and can solve quickly equations involving two and three unknowns. Children are usually interested in toys and games; meanwhile Thien pays attention to numbers. He has a very good memory. He could write and spell his name by the age of 4, said his father, Nguyen The Tri. Thien has a spirit of self-discipline that bolsters his natural intelligence. After watching a cartoon on TV, he immediately studies until 9 pm, his father added. 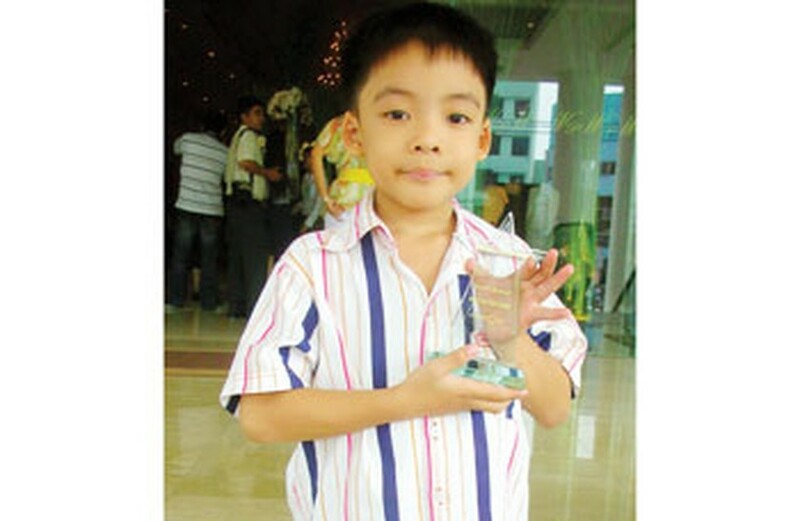 When he was 5, his father took him to the Kumon School to foster his mastery of basics mathematics. 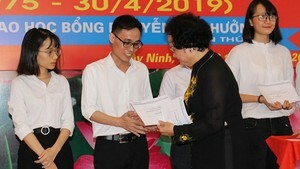 Managing director of the school said that Thien solved their entry examination equations quickly and easily. She also tested his skill by giving two tests at a higher level, which Thien also passed promptly. After just one month at Kumon, Thien completed the math curriculums of the 1,2,3 and 4th grades. To date, after one year in Kumon, he is studying math program designed for students of the 9th grade. Thien is a special student that we will keep a close track of, the director said. Toru Kumon, a teacher, developed the Kumon Method in Japan 50 years ago and parent who wanted to help his son do better in school. Kumon is an individualized method of instruction suitable for all ages. Placing great importance on the ability of each student, Kumon aims to foster and nurture each individual's character and learning potential. Kumon reading and math programs help children master those fundamental skills crucial to their overall academic performance. With centers in 44 countries, Kumon has helped more students succeed worldwide than any other after-school program.